More restaurants and stores are moving in a dog-friendly direction by allowing dogs on patios and in specially designated locations. Some fast food locations, however, are rolling out the welcome mat for dogs by offering canine-appropriate meals and treats. Some of these restaurants have menu items for dogs and others provide free tidbits. Not all of these items are openly advertised and some must be asked for by name. The next time you spin through the drive-thru with your dog, ask the cashier if the fast food location offers any meal or snack options for your canine companion. Include your pup in your food adventures, and you will both have a blast. Check out the following restaurants for some treats your dog won't soon forget. 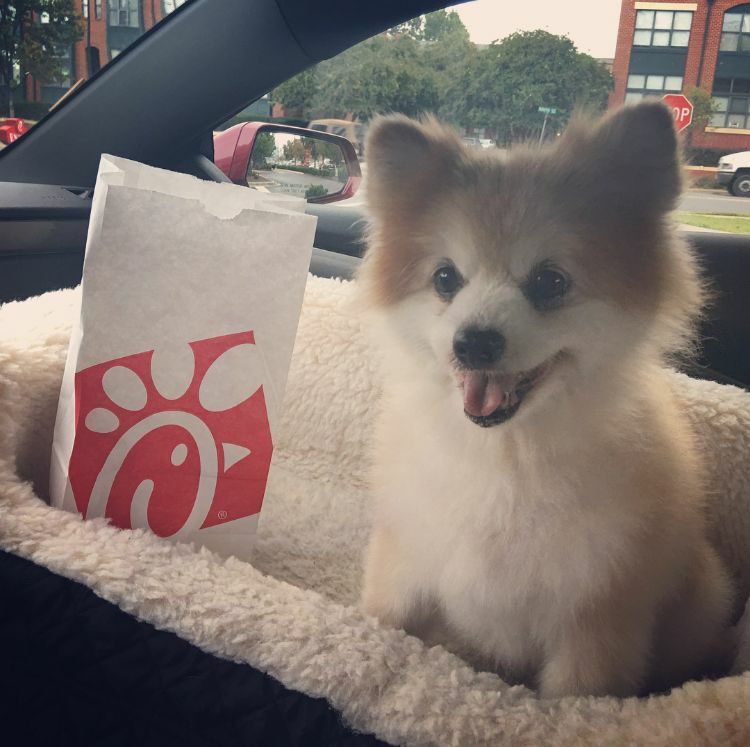 Chick-fil-A is not only one of the most popular fast food joints in the country, but it is also a favorite amongst pooches. Ask the server for an extra snack for your dog, and you'll soon be giving it a tasty treat served complete with a classic Chick-fil-A bag. 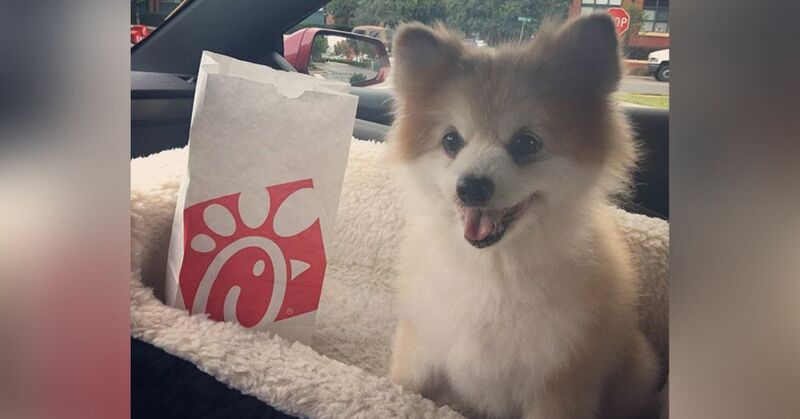 Check out #dogsofchickfila on Instagram for more pictures of dogs loving their snacks. You might not be ordering the healthiest of options from Tim Hortons (double chocolate donuts, anyone? ), but you can ask for a low-fat, sugar-free snack for your dog as you go through the drive-thru. 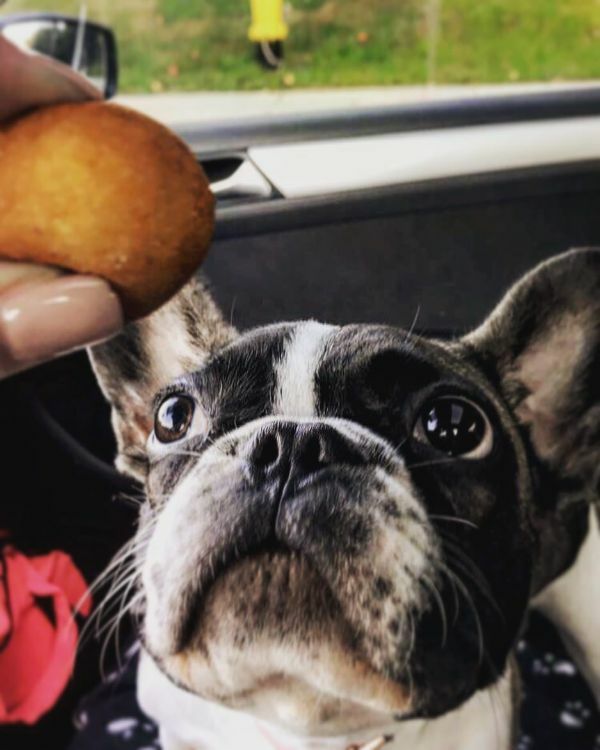 Check out the plain or sugar-free Timbits donut holes that make a sweet, quick, reasonably healthy treat for your pup. 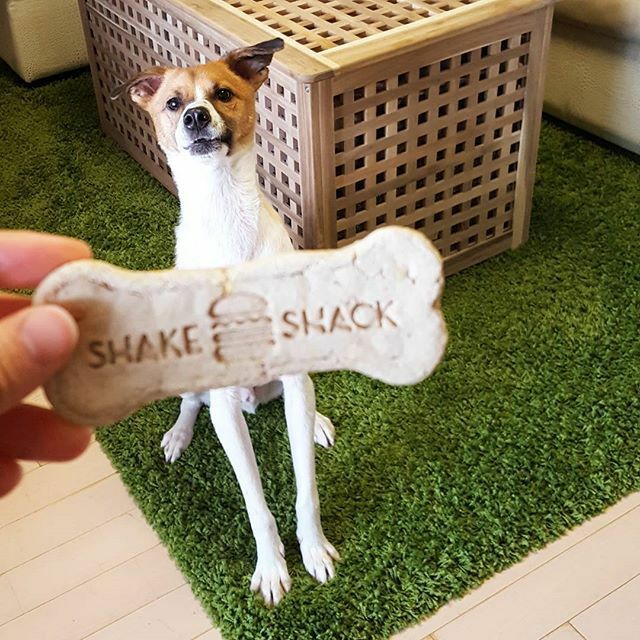 Shake Shack makes no secret about it: Dogs are welcome here. Unique menu items for dogs include the Bag 'O Bones, specialty biscuits from Bocce's Bakery in New York City, as well as the Pooch-ini, a scrumptious peanut butter sundae with vanilla custard and adorned with biscuits. Let your dog splurge a little with one of these tasty snacks. 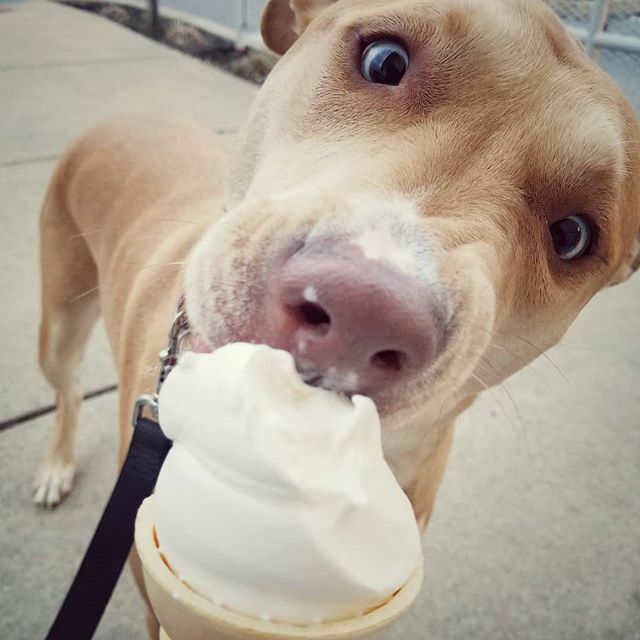 No need to feel guilty about stopping at Dairy Queen for an ice cream sundae with your pup in tow. 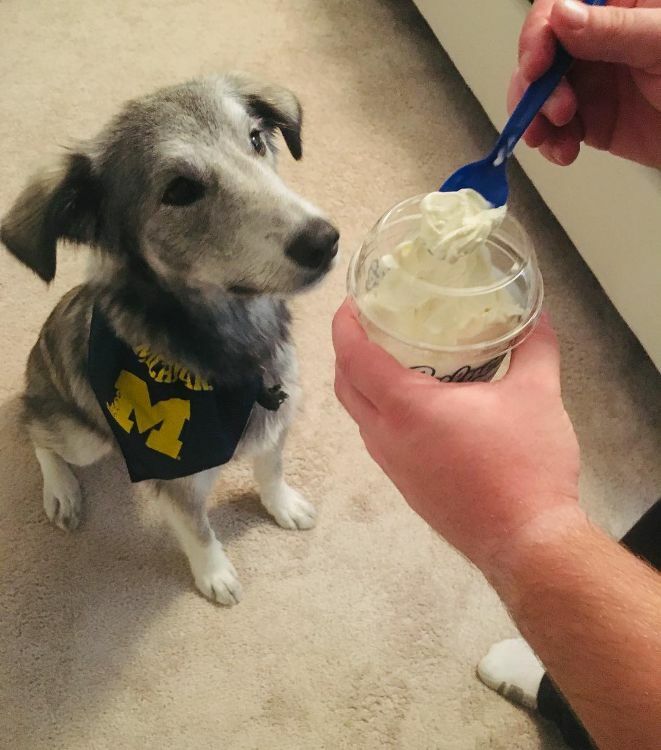 Just ask for a Pup Cup, and your dog will receive a canine-sized portion of soft vanilla ice cream with a biscuit on top. Better yet, the Pup Cup is free with any purchase, so both you and your dog can enjoy this guilty pleasure. 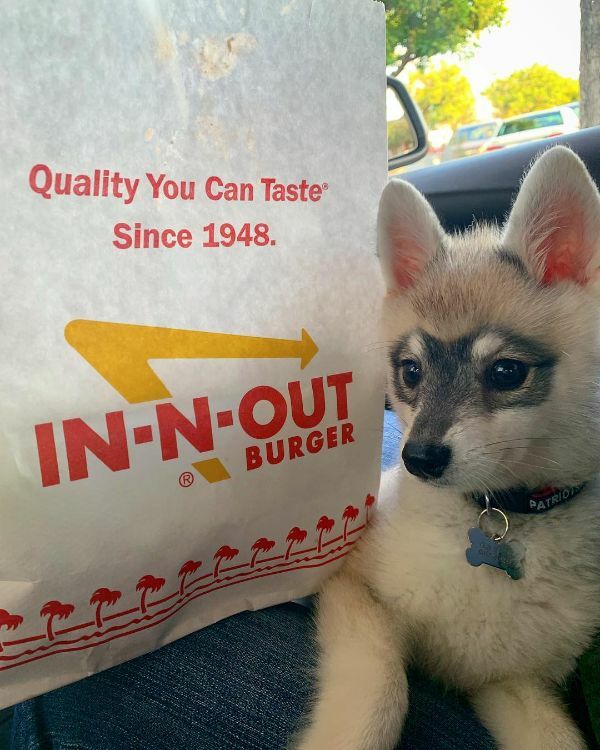 Your quick trip for lunch or dinner to In-N-Out can easily include your dog. This fast food restaurant offers menu items specifically for burger-loving pups. The Pup Patty, a plain, salt-free patty, is perfect for health-conscious dogs and canines on a diet. The Flying Dutchman, made with two beef patties and two slices of cheese, is also available for dogs, and both meals are served in a specially designed "doggy-bag." 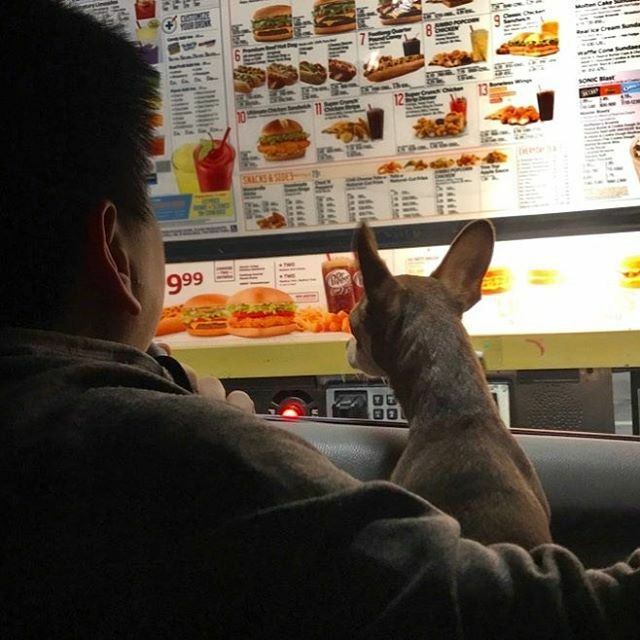 While you are enjoying your Sonic burger, you can ask at the drive-thru window for an extra treat (or two) for your dog. Expect a yummy biscuit, although you may still have to share a bite of your burger as well. 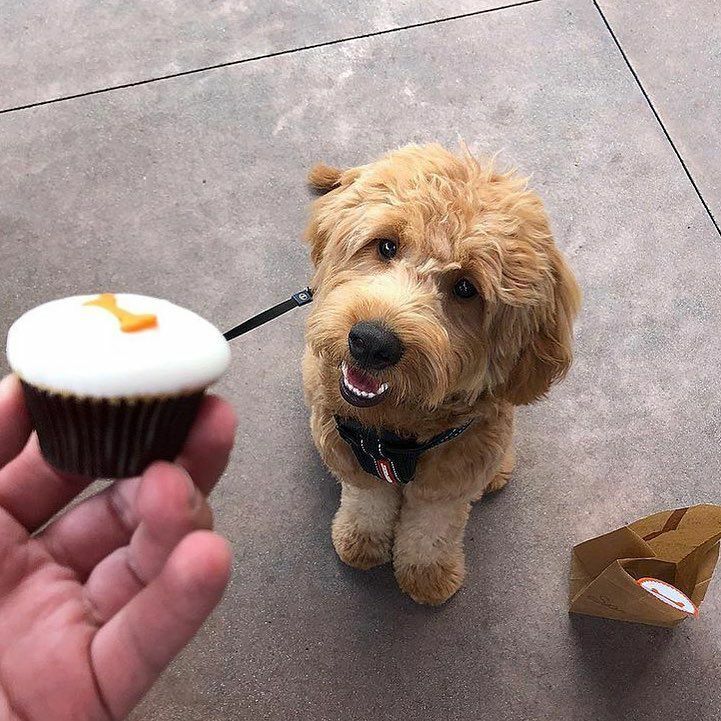 Sprinkles has cornered the market on doggy desserts by offering a special Doggy Cupcake. The next time you are there, ask the cashier for one of the treats, which is sugar-free and decorated with a layer of yogurt frosting. Offer one of these cupcakes to your dog and watch the begging begin. 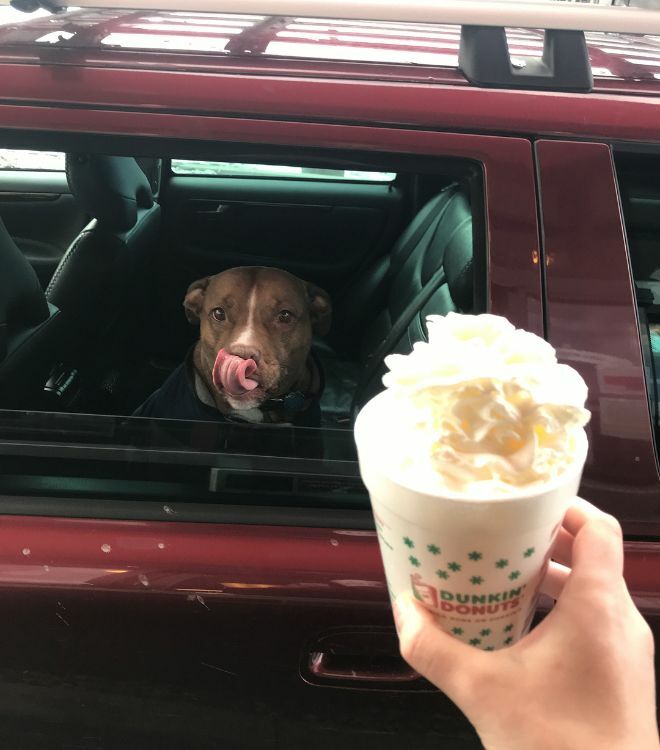 The Starbucks' classic Puppuccino is a long-standing creamy treat you can get for your pup at the drive-thru window. Ask for one, and your dog will receive a small cup of whipped cream goodness. Be sure your dog is not lactose intolerant before you feed it one of these snacks. America runs on Dunkin', and that includes America's dogs too. 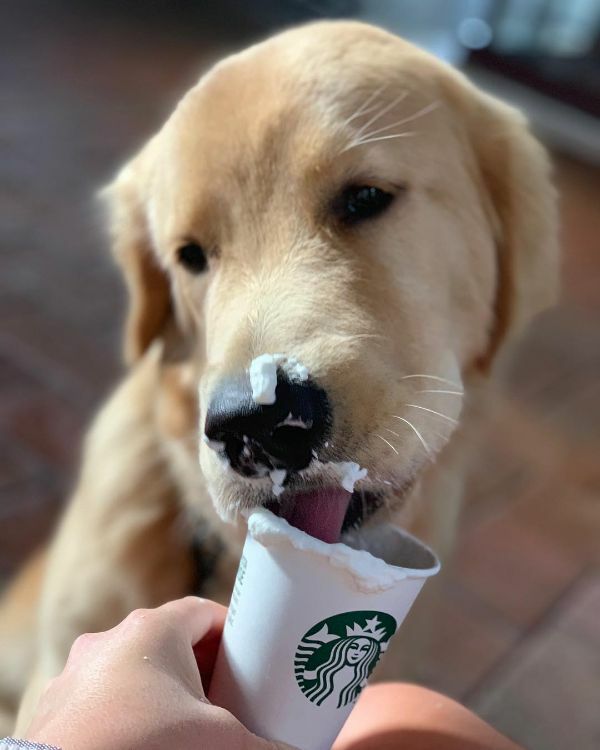 Ask for a puppy latte the next time you stop and you'll get a large cup of whipped cream. Many cashiers will also have some dog biscuits behind the counter for dogs who prefer more crunch to their treats. Culver's is a food and custard restaurant that loves their dog patrons and offers dog-friendly seating areas and drive-thrus. They also provide doggy portions of creamy custard guaranteed to make your dog's day. The next time you cruise through a fast food drive-thru lane, ask the cashier what dog menu options are available. You might be surprised at what treat you might get for your dog, and your pup will be happy to enjoy an unexpected snack.